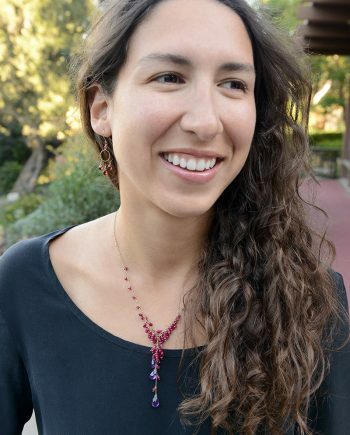 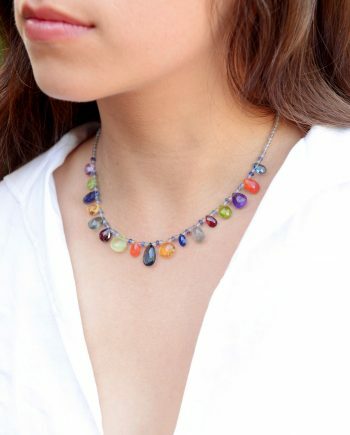 A classic statement necklace. 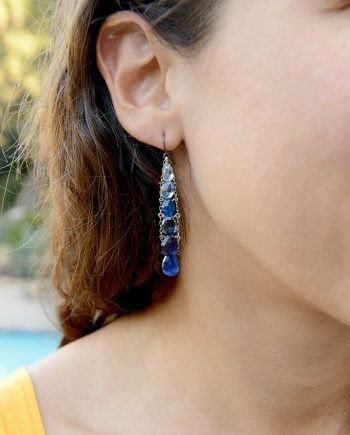 Will look fabulous under a suit or add sparkle to your evening out. 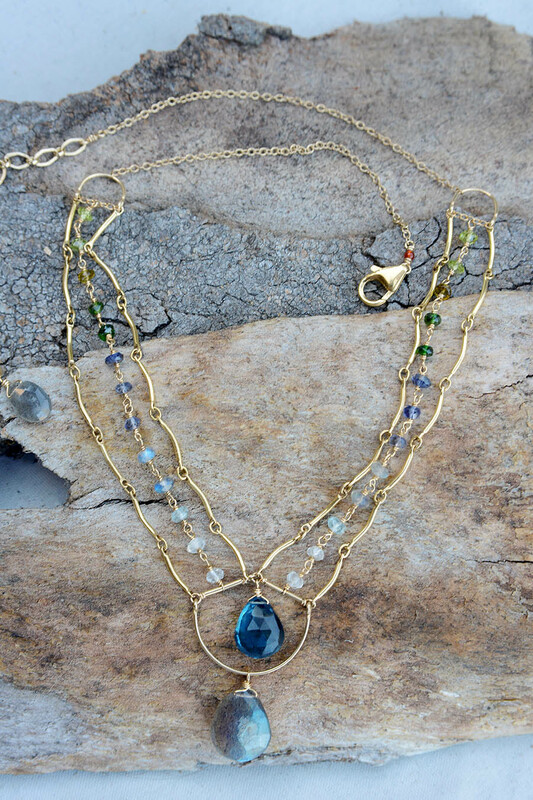 Unique design with a vintage flare. 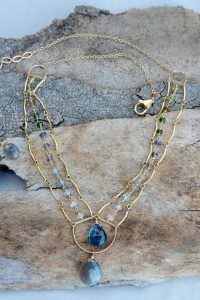 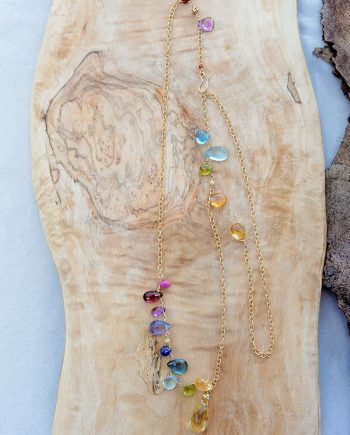 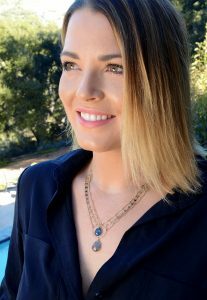 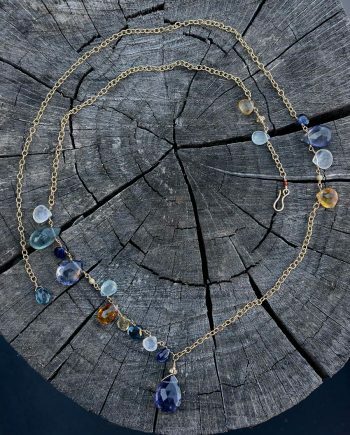 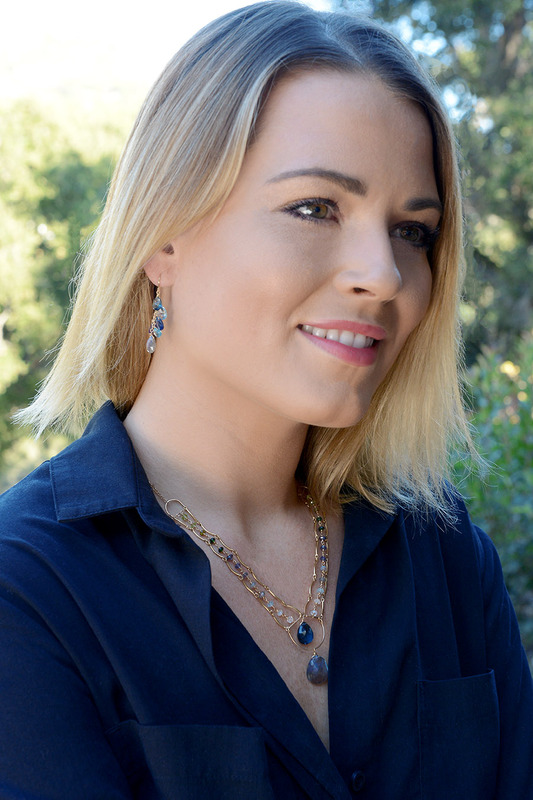 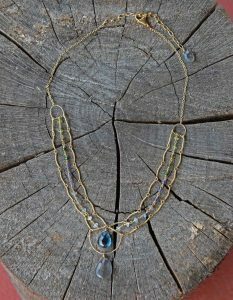 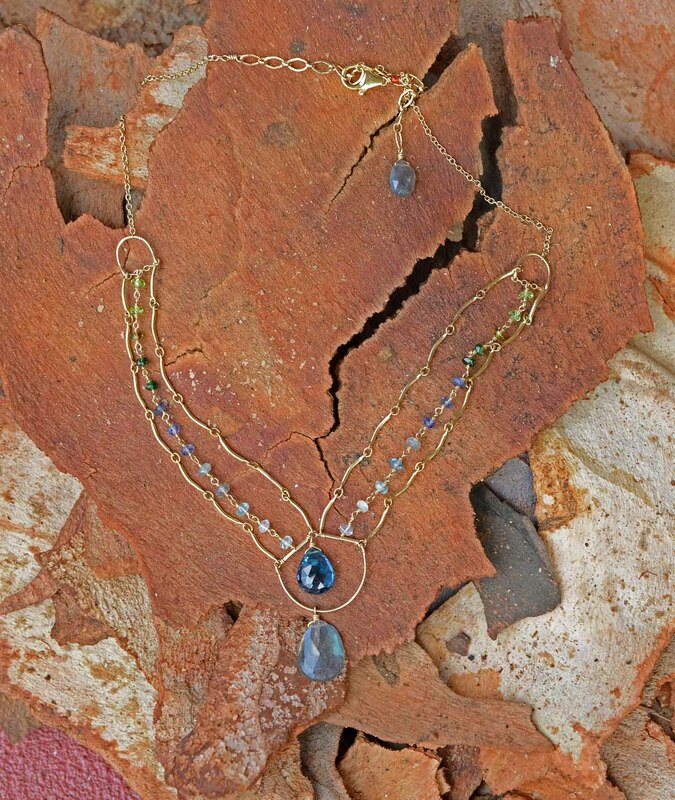 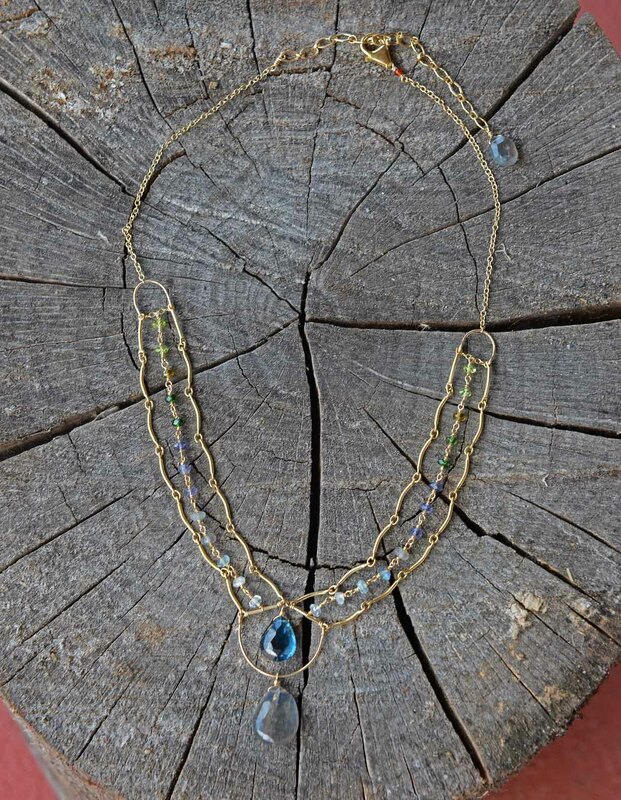 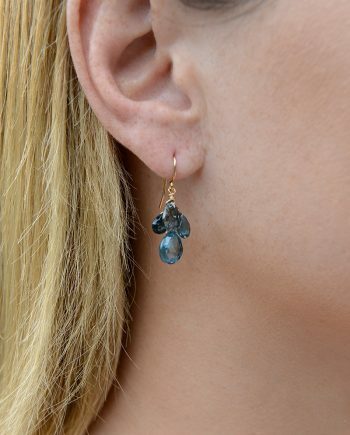 Labradorite and London Topaz grace the center; while Peridot, Tourmaline, Iolite, Labradorite, Aquamarine and Moonstone accentuate the 14K Gold-filled chain.